Reason #1. Enjoy choosing from an extensive range of high quality European appliances and accessories manufactured to the highest standards. Modena offer exceptional quality at a great price and invite you to peruse from a generous spectrum of items, designed to suit all kinds of spaces, décor and budgets. With a range of products available to fully fit out your kitchen, laundry and bathroom, it’s possible to simply “do it all” at Modena, and with stock in the warehouse at all times, there’s no delay on your delivery and no hold ups on your project. Reason #2. Feel confident you’re making the right choice when you purchase or recommend appliances from a team with combined experience over three decades. Put yourself in the hands of the experts as they share their knowledge on the variety and functionality of Modena’s carefully chosen range of superior quality appliances and accessories. Receive up to 4 years warranty on selected items, at least 2 years on most appliances and 5 years on ceramic disc tapware cartridges. Speak to our experienced sales staff about the terms for the item you’re interested in. You may also wish to consider an extended warranty for long term peace of mind. Reason #3. Your order will be delivered to your chosen location 100% complete. Unless you choose otherwise, every order will be delivered in full on one delivery day, and if your building plans or installation schedule requires a staggered delivery, we can arrange for this too. There’s no frustrating wait for an order to arrive, and neither do you have to worry about storing your products on a building site when you’re not ready for them. We can easily accommodate your arrangements, just let us know. Reason #4. Sourced from Europe and Asia, chosen for high quality workmanship and functionality, Modena offer you an extensive range of sizes and styles to suit any kitchen, laundry or bathroom. Unusual or non standard sizes are never an issue, our range is varied to be able to cover anything you require out of the ordinary, without compromising on quality or value, so you receive the best possible product and service, every time, whether you’re fitting out an entire home or replacing an well used appliance. Reason #5. Come and visit our showroom and experience excellent Modena products firsthand. While you’re here, make sure you speak to our staff and discover their depth of knowledge and commitment to finding the best solution for your individual needs. Whether you’re considering Modena for your own home or to recommend to your customers, it’s important to take the opportunity to inform yourself. 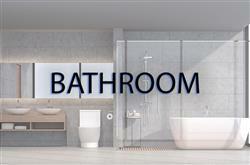 Our showroom allows you to see and be impressed by what we can offer you in terms of quality and range of products. Reason #6. 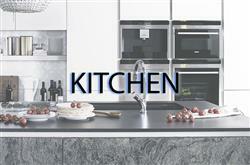 We are the proudly exclusive local supplier of European Modena appliances. 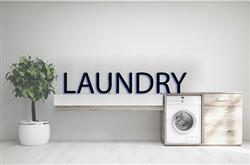 An Italian brand, offering beautiful appliances for kitchen, bathroom and laundry, Modena product make no compromises on quality or style, and you’ll love the look, feel and functionality of their products, sourced from Italy’s Emilio-Romagna region. Reason #7. Premium after sales service. Our excellent service does not cease once delivery is complete, each item comes with a warranty, and on the rare occasion there is a problem, all you have to do is contact Modena to receive assistance. Our proprietary team directly manages the fulfillment of after sales service and warranty requirements. You’ll be certain to receive satisfaction and a swift resolution of any issues via their professional, hands on approach. Why not contact a team member now and start the conversation? Phone 02 6280 4833 or use this email form for a quick response.